One of the most frightening things for nearly all girls is getting a haircut. I don’t know why we seem to all be traumatised by the same horror story of wanting a little trim, and ending up with a short bob. Yes, it does grow back, no, we did not look forward to the awkward hair phase. Realistically, the first big chop to get rid of all the damage will not be one by a natural hair pro. That’s okay. I went to a random salon, asked to cut my hair in a bob. A lot of persistence was needed because I was told the old “your hair is too thick” excuse. But it is my hair and this is what I wanted, or rather needed. Things had to change, at this point I was still straightening my hair but my research had already begun. Slowly but surely, I tried to go natural. First on the weekends, so I would have enough time to still straighten my hair if needed. Then, I became confident enough to debut my natural hair on schooldays. After a couple of months, I knew how to style my hair, what products worked at that time and I was basically waiting for my hair to grow. And grow it did! Now the problem was finding a salon that can actually work with my hair. 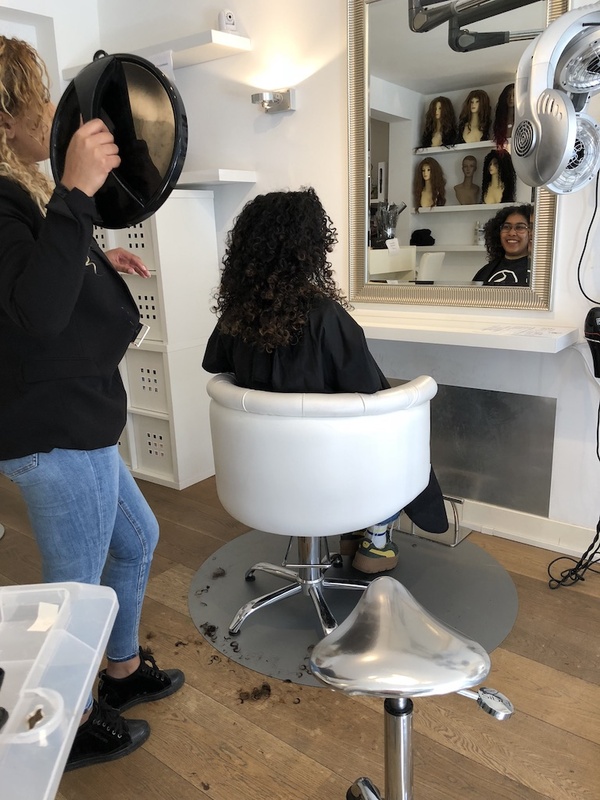 Luckily, there are more and more curl-friendly places we can go but the truth is that most of them are either pricey or far away. Personally, price-wise I am very lucky with my current salon. The only thing is not distance… as the salon is in Amsterdam and I am now in London. 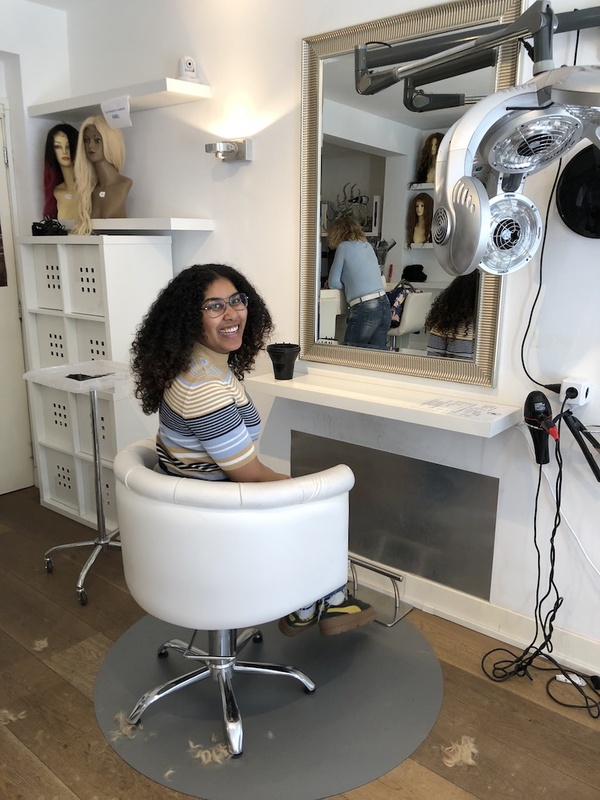 Obviously I could do some research and try a salon here, but in all honesty I don’t think I would trust anyone else to come near my curls with a pair of scissors! This is where all the difference is made. Once you found your salon and your hair has grown to a shoulder-length, it is time to get layered! I don’t know a circle-haired person that does not have layers in their hair. Layers are how the volume is made! The curls just come alive, as they aren’t weighed-down anymore. As I said before, I tend to get regular trims just because I feel like my hair grows a lot quicker when I do. It is also an easier way of slowly cutting the remaining damage off without having to cut all in one go again. 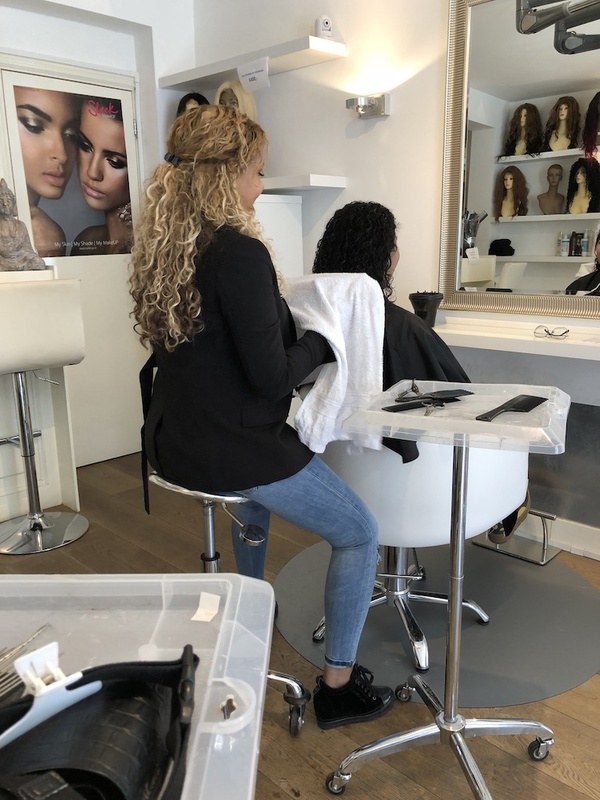 There are different techniques that salons use, and like with hair products it will really depend on your hair type which works best for you. This is something I have to do more research on, as I have no idea how my hair is being cut. All I know is that it works! Gone are the days when I didn’t want to be seen in public after a visit to the salon. Now, the styling is just as good as the cut. I am still amazed by the fact that I can walk out the salon with a head full of happy, bouncy curls instead of a dehydrated, frizzy mess!